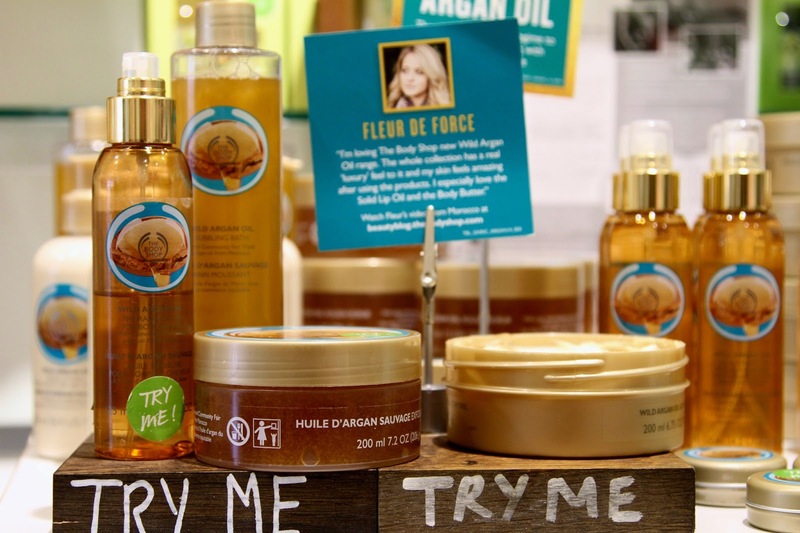 The lovely people at The Body Shop Middlesbrough invited me to their Wild Argan Oil Event a couple of weeks ago and it was brilliant. At the event I met two lovely ladies that showed me and demonstrated to me the new Argan range, with a luxurious hand massage with the Argan products, followed by an in depth skin consultation. I learnt lots about my skin, products that suit it and ingredients I should look out for. 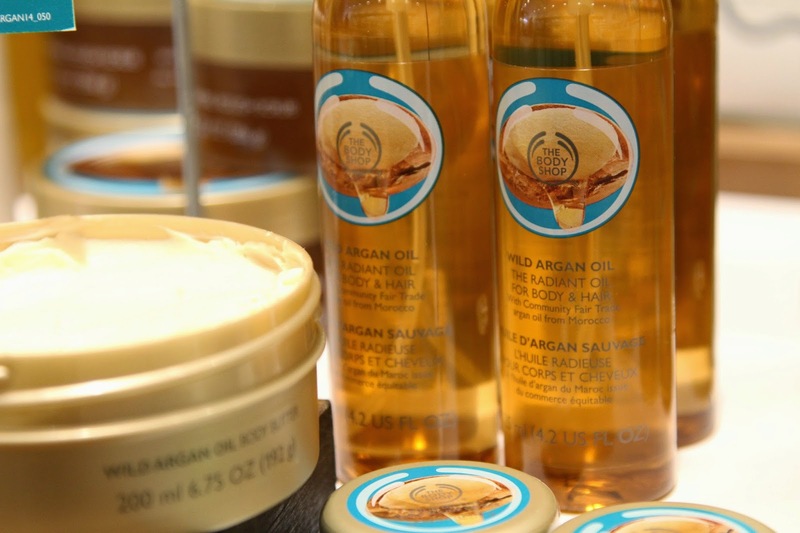 If you aren’t familiar with the products, The Wild Argan Oil Range is originated from the ingredients in Morocco, where the oil is harvested by hand. The oil is hand picked, dried for 4 months then separated through a machine to reveal the argan nuts. The core of the nut where the oil is found, is hand cracked, then fed through a machine that squeezes out the oil. The remainder is used for animal feed, fertiliser and other materials so its actually a really efficient recyclable process. It’s then left in big containers for 2 weeks then filtered to show the finished oil. This process is very very long but amazing how it’s produced. 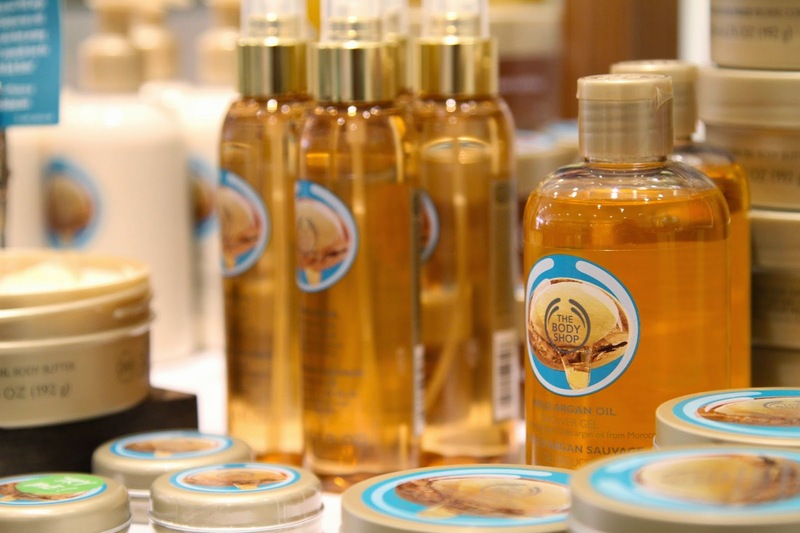 For more about the way Argan Oil is extracted, check out Fleur De Force’s visit to Morocco here. 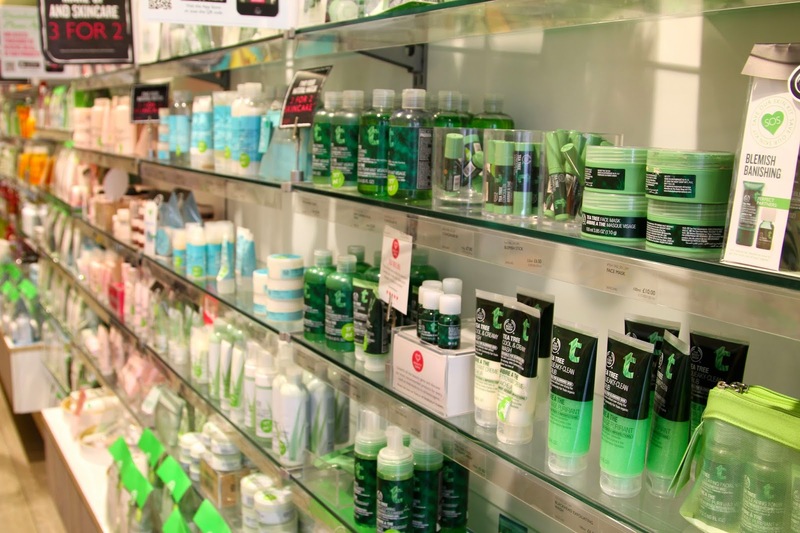 During the event I was looking in depth at the different ranges and collections The Body Shop sell. I have tried so many products but there was a certain one I discovered that I have been using and absolutely love. The lady who was showing me around kindly suggested using the Aloe Eye Defence Cream. This light weight, alcohol free eye cream gives long lasting hydration to the lower eye area, keeping you looking fresh and awake all day long. I’ve found this is perfect for those rough mornings. Another key feature of this product is that it’s suitable for contact lens wearers. Being someone who wears contact lenses day in day out, some eye creams irritate my eyes and its hard to find one that doesn’t leave them feeling itchy and sensitive. This one is the one for me and after using it for around 3 weeks now, I can’t fault it. After a glass of bubbley and a long chat with the staff, the day was over and it was time to head off home. It was a brilliant end to the week and I had learnt so much about the products themselves. 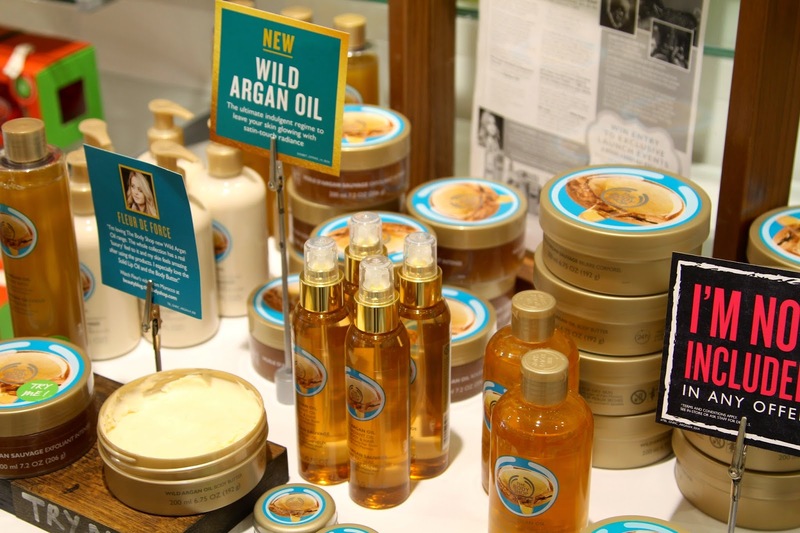 If you haven’t checked out the Argan range I suggest you head down to your local Body Shop now and take a look. 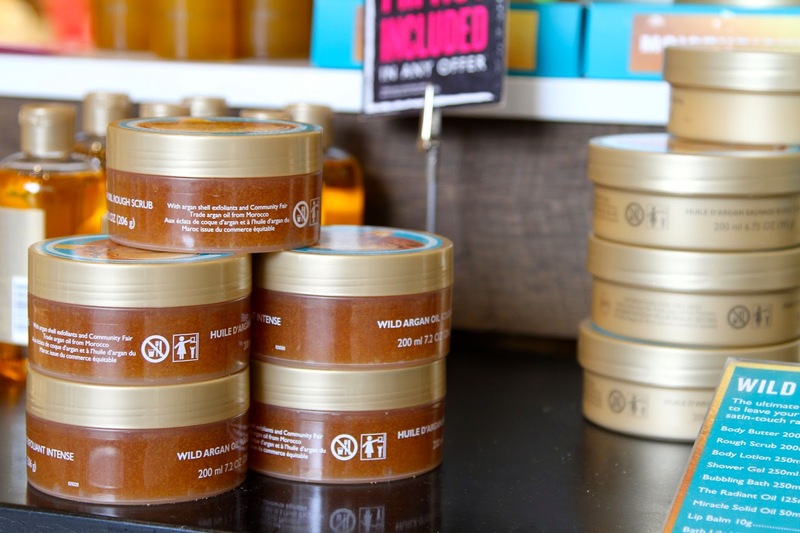 I also have a little bit of Body Shop Gossip! For you ladies out there, they are launching their first Nail Polish Collection soon this year that are completely Vegan. The Colour Crush Collection don’t contain Dibutyl Phthalate (DBP), formaldehyde, formaldehyde resin or camphor which most do, yet still offering long lasting coat and vibrant look. They should be arriving to the shelves in early October! Keep an eye out!